In 2015, Representative Steve Knight (R-Palmdale) introduced legislation in Congress to protect the proposed Castaic Wilderness and establish the St. Francis Dam Disaster National Memorial. The nearly 70,000-acre proposed Castaic Wilderness is located on public lands in Los Angeles County north of the Santa Clarita and Los Angeles. The proposed St. Francis Dam National Memorial is a small 440-acre site located just southeast of the proposed wilderness. Rep. Knight authored the bill because of strong public support for protecting the unique Castaic area and to commemorate the collapse of the Saint Francis Dam that killed hundreds of people in 1928 and ended the water development career of William Mulholland. Rep. Knight’s bill was supported by many local elected officials, community leaders, Native Americans, water agencies, business owners, recreation and community groups, and conservation organizations. Even the Forest Service recommended wilderness protection for much of the area. But due to the vociferous opposition of a handful of mountain bikers, Rep. Knight recently reintroduced his St. Francis Dam National Memorial legislation in 2017, without including the proposed Castaic Wilderness. Ironically, the boundaries of the proposed wilderness were specifically drawn to avoid any conflict with legal mountain bike and off road vehicle trails, but this has failed to assuage mountain biking interests. Now is a good time for Rep. Knight’s constituents to urge him to include protection for the Castaic Wilderness. CalWild is proposing wilderness protection for approximately 69,670 acres of the Castaic area on the Angeles National Forest. Much of the area was recommended for wilderness protection by the U.S. Forest Service because it is the largest remaining block of undisturbed but unprotected habitat remaining on the Angeles National Forest. 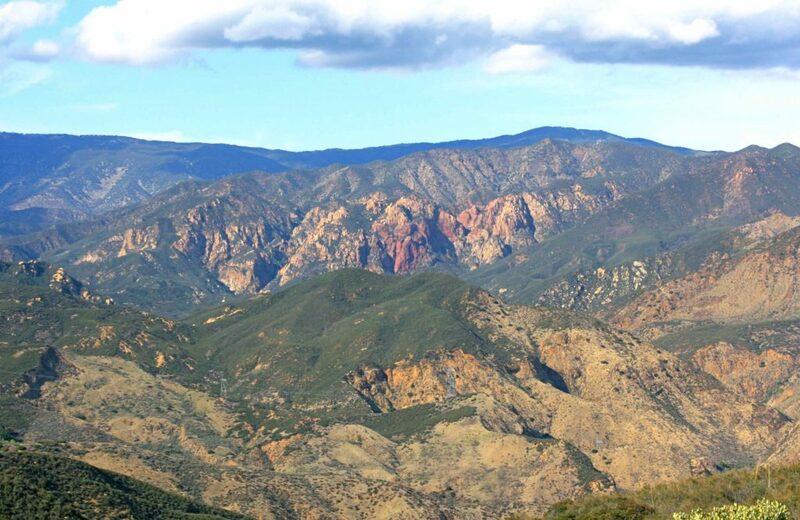 Ranging from less than 2,000 to nearly 6,000 feet in elevation, Castaic’s diverse scenery and vegetation include the oak and savanna covered slopes of Liebre Mountain, ridges with dense chaparral, rugged canyons with seasonal waterfalls, and the spectacular rose-colored granite of Redrock Mountain. 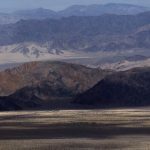 The higher elevations in the area offer stunning views of the nearby San Gabriel and Topa Topa Mountains, and the Mojave Desert. Botanically rich, the area supports numerous rare plants, one of the largest black oak groves in southern California, and one of the few stands of native grey pine on the Angeles Forest. 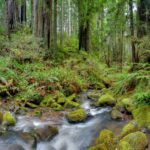 Despite the overall arid nature of the region, the proposed wilderness includes natural springs, year-round wetlands, vernal pools, and seasonal streams that provide important habitat for amphibians. Encompassing the Castaic Creek watershed, the potential wilderness area contributes high quality fresh water to the Castaic Reservoir, which provides drinking water for Los Angeles County residents. 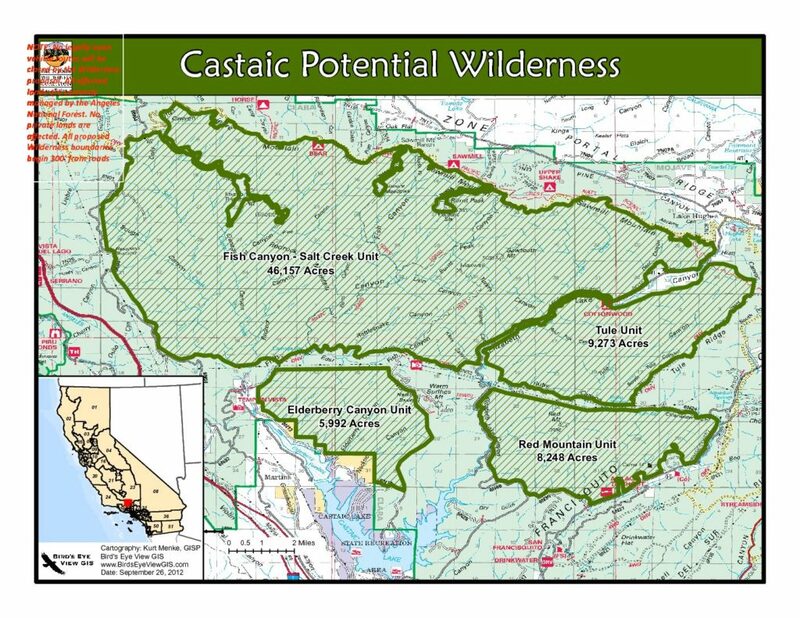 Castaic Proposed Wilderness. Photo by Steve Evans. The Castaic area has some of the highest density and greatest variety of heritage and cultural resources on the Angeles Forest. Bedrock cupules, matates, and petroglyphs show that the area was frequented by the Tataviam, Kittanemuk, and Chumash Indians. The proposed wilderness includes lands and sites that are sacred today to local Native Americans. The western boundary of the proposed Castaic Wilderness is defined by the old “Ridge Route” – the road formerly used to travel between Los Angeles and the Central Valley and which is now listed on the National Register of Historic Places. 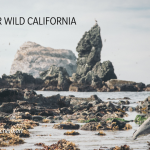 Endangered and sensitive wildlife thrive in this area, including the majestic California condor, arroyo toad, California red-legged frog, least Bell’s vireo, willow flycatcher, spotted owl, and unarmored threespine stickleback (a native fish). Recently recovered from the brink of extinction, condors are commonly seen flying over the area. It also supports numerous common wildlife species such as cougar, bobcat, coyote, black bear, and mule deer. The Castaic area is an important biological crossroads and wildlife linkage, connecting the San Gabriel Mountains, Mojave Desert, Central Coast Range, and the Tehachapi Mountains. Visitors gain easy access to the proposed wilderness from Interstate 5 and Highway 138. The area provides ample opportunities for non-motorized backcountry recreation including hiking, backpacking, rock scrambling, wildlife viewing, photography, hunting, and fishing. The 2,650-mile Pacific Crest National Scenic Trail parallels the northern boundary of the proposed wilderness. 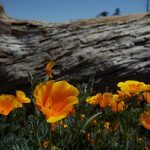 The area is a popular backcountry destination for residents of the Santa Clarita and Antelope Valley communities, but it also attracts visitors from throughout the Los Angeles region and the state. 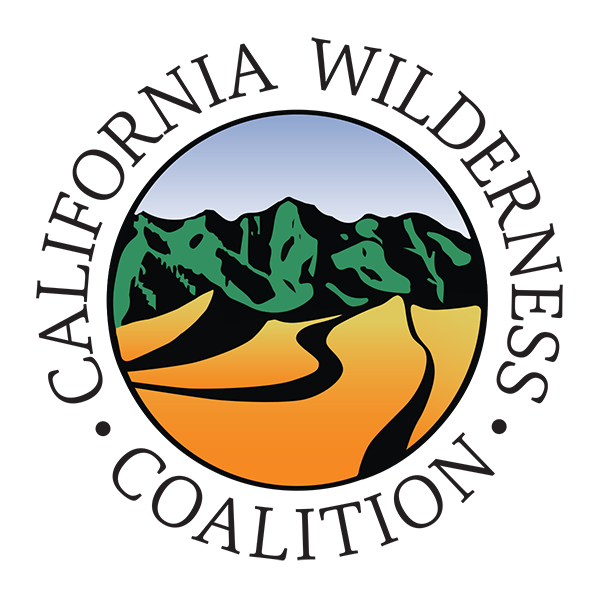 All legal motorized roads and mountain bike routes have been excluded from the proposed wilderness, including the popular Golden Eagle mountain bike trail. In fact, the 69,670-acre proposed wilderness comprises four units, separated by narrow road and trail corridors to allow for continued motorized and mountain bike use on existing routes. Adding the Castaic area to the wilderness system will protect it from new road building, oil and gas development, and potential expansion of motorized trails. Cattle grazing, valid existing mining claims, hunting, and fishing are all permitted in wilderness. Wilderness is the strongest and most durable protection that can be afforded to our public lands, but it can only be protected by a vote of Congress. The proposed 440-acre St. Francis Dam National Memorial Monument just south of the proposed Castaic Wilderness commemorates the 1928 St. Francis Dam collapse disaster, which killed more than 400 people in Los Angeles and Ventura Counties. It was one of the worst civil engineering failures of the 20th century and all but ended William Mulholland’s career as Chief Engineer of the Los Angeles Dept. of Water and Power. Today, a remnant of the dam’s foundation remains. The small creek that flows through the site supports one of the few endangered red-legged frog populations in the Angeles National Forest. The Monument will allow for the historic interpretation of the site and protect its natural values. Support Castaic Wilderness Protection: Email Rep. Knight TODAY!